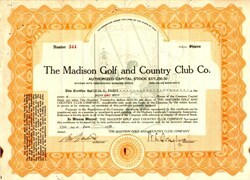 Beautiful certificate from the Madison Gold and Country Club Co. issued in 1928. 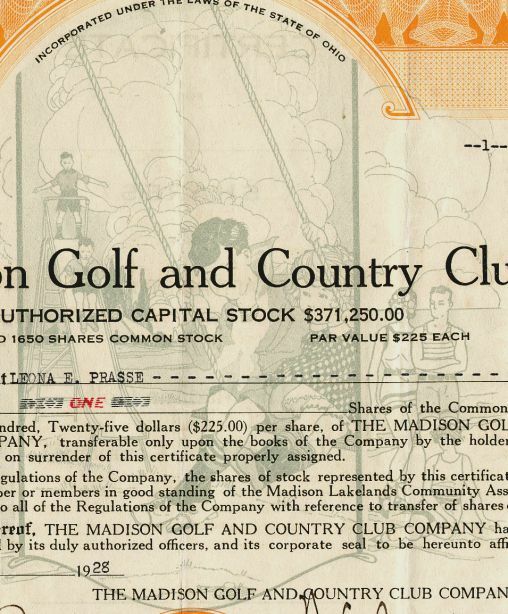 This historic document has an ornate border around it with a vignette of kid having a good time on a swing and slide at the club. This item has been hand signed by the Company’s President, and Secretary, and is over 84 years old. Foxing and tiny holes.